With growing offering of smart phones, who can live without mobile data these days. Most of the time, mobile internet is often sold as a separate add-on which is bolted on existing postpaid voice plans. Some of the telco players have noticed the importance of data and had introduced single postpaid plans that comes with bundled data in the monthly commitment fees. This makes it affordable especially for those that need a postpaid plan with data and doesn’t really make much calls or SMS. Today Maxis has introduced its new Value Plus Internet which comes bundled with voice calls, SMS and data. 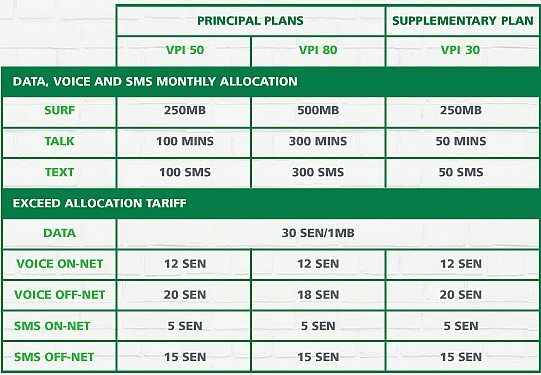 3 plans are being offered – Value Plus Internet 30 (Supplement), Value Plus Internet 50 and Value Plus Internet 80. For Value Plus Internet 50, you’ll get 250MB of data, 100 minutes of calls and 100 minutes of SMS for a monthly commitment of RM50. Additional usage is charged at RM0.30/MB, calls within Maxis at 12sen/min and calls to other network are charged at 20sen/min. SMS are charged at 5sen/sms within Maxis and 15/sms to all networks. For supplementary Value Plus Internet 30, you’ll get the same perks as Value Plus Internet 50 but with less Talk and Text minutes. However, they are bundling Free 900 minutes and 1500 SMS within your connected family lines. For those that need more, there’s Value Plus Internet 80 which comes with 500MB data, 300 minutes of calls and 300 SMS. The rates for excess usage are similar but calls to other network are charged at a lower 18sen/min. While the bundled data option doesn’t seem a lot for heavy users, they are offering mobile data quota upgrades from hourly to weekly packages. The biggest option is RM25 for 7 days usage of 1.5GB. Overall, these are great options for those looking for an all in one plan with low data usage. We would be expecting Maxis to offer mobile bundling on these new Value Plus Internet plans sometime soon. For those that require more data monthly, the standard Value Plus + Mobile Internet add-on would be a better option in the long run. Currently their biggest data add on is their 6GB option at RM98/month which is the closest thing to their former RM99 unlimited mobile internet with 5GB Fair usage. 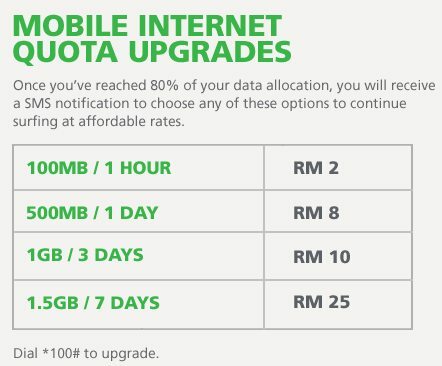 For more information on these Value Plus Internet plans, head over to Maxis.